MARK COSTELLO (Creator/Hermann Ebbinghaus) is a Brooklyn-based actor and video designer. Select acting credits include God's Ear (Robert Moss Theater), After the Rapture, (Theater in Asylum’s Work-in-Progress Series), Hello, Trucking! (Theater for the New City), Time Stood Still (NYU), Saints & Poets, Maybe (NYU). Media and Projection Design credits include Rescue Agreement's If or When the Roof Falls In (CAP21), Aquila Theatre’s Taming of the Shrew and Cyrano de Bergerac (National Tour), Perf Productions’ Degeneration X (The Living Theater), Snug Harbor’s Foreverman (NYMF), A.P. Andrews’ Girl with the Red Balloon (The Tank). 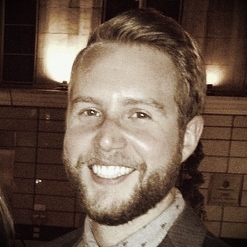 Mark currently works as an Audio/Visual Specialist in the Concerts and Lectures Dept. for the Metropolitan Museum of Art. Mark holds a BFA in drama from NYU Tisch School of the Arts. SEAN DANIELS (Creator/Adolph Weiss) is a theatre artist, originally hailing from VA. He holds a BFA in Drama from NYU-Tisch with a focus in devised theatre and lighting design. Select creator/performer credits include Ach Du Lieber Himmel (NYTW with Theatre in Asylum), Imagination (New Orleans, LA), Someone is Living in this House (Connelly Theatre) and The Estonian Play (Theatre for the New City). He has served as the lighting designer in residence at NYU-Meisner since 2011 and has numerous other lighting credits including: The Lady from the Sea (Lee Strasburg Institute), All in the Timing (Baruch College), The Elephant Man (Built For Collapse) Other credits include: Not Without My Gallbladder (Planet Connections Festivity Award Best Direction), The Sixth Borough (NYU), Bunnicula (TheatreworksUSA) and Dear Edwina (DR2 Theatre). He currently serves as the Assistant Technical Director of St. Ann's Warehouse in Brooklyn. ERIC MERCADO (Creator/Director) is a Brooklyn based director. His work includes: The Ape and the Child (Wings Theater), Ach Du Lieber Himmel and Wine & Spirits (both at New York Theater Workshop with Theater In Asylum), Bomb Shelter (Gene Frankel), Baby Plays the Banjo (45 Bleecker), Open Up (Theater for the New City's Dream Up Festival), Choking the Butterfly (Ninth Space), Magic 8 Ball (The Brick's Tiny Theatre Festival), Emilio Williams' Smartphones (CUNY’s PEN World Voices series), In Memory (HERE), Not Without My Gallbladder(Robert Moss - Planet Connections Award for Outstanding Direction), and a reading of When The Party’s Over (LaMaMa’s Umbria Program Presentation). Eric served as Staff Director for Aquila Theatre's national tour of Macbeth and The Importance of Being Earnest and is currently directing Stone Soup Shakespeare’s production of As You Like It, which will tour throughout the Midwest. He holds BFA from NYU Tisch where he studied creating original work. EVAN WATKINS (Creator/Remy Longrais) started writing & improvising as part of The Second City’s Teen Ensemble in Chicago. In New York he created work at Ars Nova ("Golden Baby" and "Alfridge Von Waddlegrave") The Incubator ("Aw Keats, Keats Motherf***er! "), PS122 (Wooster Group’s “Avant Garde-Arama”), Galapagos Art Space ("Queen of the May & Her Harvest Kings"), 3LD, Underground Arts (Philly), The Tank, The Connelly, ChicagoSketchfest, Del Close Marathon, Theater for the New City, Howl! Festival at Theater 80 St. Marks, as well as monthly sketch comedy shows at Gotham City Improv. Evan is a graduate of NYU where he studied Creating Original Work and Directing and he currently resides in Chicago. Follow him at Twitter.com/VanWatz. JOSH BLACKBURN (Associate Producer) Hailing from the heartland of Middle America, Josh was a standout at many local and district Science Fairs. It was this experience and passion along with his staring roles in Ohio theatre that has brought him to The Scientists. He is extremely happy to be working with such a talented team that he is proud to call friends. MAYA BOUDREAU (Marie Curie, Chicago) is thrilled to be joining the Chicago run of The Scientists! She is a recent graduate of the School at Steppenwolf as well as New York University, studying at Playwrights Horizons Theatre School and graduating with a BFA in theatre. Maya's recent credits include Measure for Measure (Goodman), feature film Wild Blue, recurring on NBC's Crisis, and the lead in soon to be released feature film Jessica. She is represented by Gray Talent Group and is madly in love with Rémy. MEREDITH DIXON (Producer) currently works as the Business Manager at the Atlantic Theater Company in New York City, the award-winning off-Broadway theater company and NAST accredited acting school. She joined the Atlantic in January 2013 after working as a Business Associate for Wingspan Arts and as the Office Manager for Gingold Theatrical Group. Prior to her switch to Arts Administration, Meredith worked as a Production Stage Manager for off-Broadway theater companies such as Labyrinth Theater Company, The Public Theater, Rattlestick Playwrights Theatre, The Actors Company Theatre and New York Theatre Ballet. 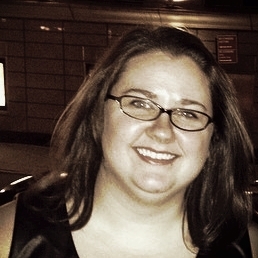 In addition to her work on productions, she also stage managed live events such as Labyrinth Theater Company’s “Celebrity Charades.” Outside of New York, Meredith has spent seven summers working for the National High School Institute Theatre Arts Division, otherwise known as the “Cherubs” program. For the Cherubs program, Meredith has worked as a Faculty Member and as the Associate Division Director, admitting students, hiring faculty and facilitating the day-to-day operations of the program. In her oodles of free time, Meredith works as a free-lance producer for all of her friends' awesome projects. Free-lance producing projects include: Not Without My Gallbladder (Merkins, Daniello & Sons), The Beautiful Beautiful Sea Next Door and Choking the Butterfly (EBE Ensemble), and The Trestle at Pope Lick Creek (GroundUP Productions). Meredith is originally from North Carolina and graduated from the University of North Carolina at Chapel Hill with a BA in Dramatic Art and a minor in Business Administration. She is a member of Actors Equity Association and an adjunct company member of The Actors Company Theater. ALINNE FERNANDES (Costume Designer) is a Brooklyn-based graduate of Parsons The New School for Design where she graduated with a BFA in Fashion Design. She prides herself in hand-made details and evoking human connection through design. This Rio-native is currently inspired by Mid-century modern paintings and a new-found love for RAW food. VALERIE GRAHAM (Marie Curie, Maplewood) is a performer, writer, and director. She is a graduate of Playwrights Horizons Studio at New York Univerisity’s Tisch School of the Arts and has completed the improv training program at Upright Citizens Brigade. Her play, Leashes for Dinosaurs, received an award for “Outstanding Playwrighting” at this summer’s Planet Connections Festivity. Valerie was a member of the 2014 Lincoln Center Theater Directors Lab. MANDY HASSETT (Marie Curie, Rochester) is very excited to be joining the Rochester run of The Scientists! Mandy holds a BFA from NYU/Tisch School of the Arts/CAP21 in Theatre and has performed in many venues in New York City including The Duplex and Joe's Pub. She was recently seen in the world premiere of Melanie and The Record Man as young Melanie, as Sister Mary Amnesia in Nunsense, and as The Girl in The HOT L Baltimore at Blackfriars in Rochester, NY. 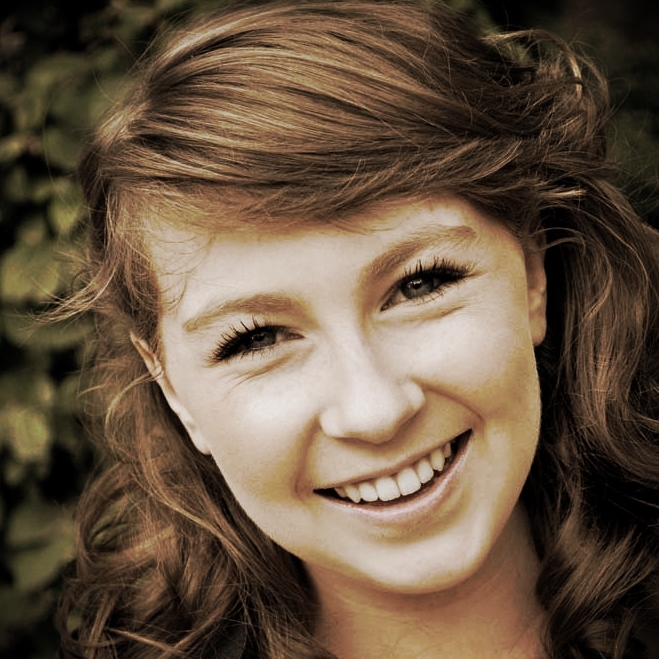 She has also been involved in The Rochester Children's Theatre productions of Shrek the Musical! as one of the 3 little pigs/3 blind mice and Rapunzel! Rapunzel! A Very Hairy Fairytale! as Rapunzel. Some of her favorite roles have included Little Becky Two Shoes in Urinetown the Musical and Anybodys in West Side Story at the JCC Centerstage, The Velveteen Rabbit in Rochester Children's Theatre's touring production of The Velveteen Rabbit, and Tammy in Debbie Does Dallas the Musical at Blackfriars. ELIZA McCOY (Marie Curie, Portland) is currently studying at New York University's Tisch School of the Arts: New Studio on Broadway (class of '15). She is a proud Mainer, and lobster enthusiast from Ogunquit. She is thrilled to be a part of this production, and would like to thank Mark, Sean, Eric and Evan SO much for this opportunity. SARAH SHUTT (Stage Manager) was born and raised in Virginia and is proud to be apart of another Merkins, Daniello and Sons production. Prior to her move to Brooklyn in 2010, she was the resident Stage Manager for the Virginia School of the Arts and Wolfbane Productions. Theatrical credits include: Not Without My Gallbladder (Robert Moss/Planet Connections Theatre Festivity), The Scientists: A Forgetful Farce (The Living Theatre), Good Good Trouble on Bad Bad Island (NYC Fringe), Grey Gardens (Wolfbane Theatre), A Piece of My Heart, and The Fantasticks (Glass Theatre). ELIZABETH SPANO (Louis Pasteur) is a graduate of NYU's Tisch School of the Arts with a major in Drama and a secondary concentration in English & American Literature. Elizabeth's main artistic focus is devised and new work. She likes to have a hand in collaborative, creative efforts both structurally as well as in the performance of new pieces. Her aesthetic is an amalgamation of all things fearless, strange, haunting and funny.